With so many choices now in magazines, the internet and TV, it can be difficult to know which #facials are worth investing in. We also are asking ourselves …do they work? …how do they work? …how much?? And will I see results! You will always hear what’s new and fresh, and with celeb favourites endorsing a lot of these facial treatments I’m finding a new spin on old favourites by using new and improved techniques and modifications to anti-ageing favourites. All good Salons, Spas and Clinics should always be able to offer a bespoke #Skin consultation before any facial is performed. On a personal note it’s really lovely to have that one-to-one with your client so you can build up the trust and get to know her. As a Skin consultant you want to deliver the very best for your client, give her the results she’s looking for, go through the journey with her, whether she’s looking to invest long term in her skin health or she just wants to look her best for that special occasion. This way we are able to deliver the very best results for your individual needs. We are able to rule out any possible side effects and guarantee the desired results for you and your skin. Twenty years on and #CACI #facials remain at the top for their ability to lift and firm your skin. Centred around the handheld probes, which carry a magnetic frequency into skin to trigger muscles back into tight, taught and lifted mode, this 60 minute treatment delivers dramatic results instantly – making this the perfect anti-ageing facial. You will be amazed at the results even after your first one. With the new addition of LED light that stimulates collagen and elastin to rejuvenate and tighten your skin, and blue light which has the added anti-bacterial properties that help keep your skin clear and blemish free. Suits all ages and skin types. Packed with nourishing anti-ageing ingredients. The freshest and most active forms of Vitamin A, C and Anti-Oxidants are delivered deep into the lower layers of your skin. This treatment is over 4,000 times more effective than a traditional hands-on facial, by using sound waves (ultrasound technology) and small electrical pulses. This scientific approach stimulates collagen to soften lines and improve elasticity, increase hydration and boost radiance. The active vitamin treatment is suitable for all skin types and is particularly effective at addressing sun damage, pigmentation, premature ageing, dryness, uneven skin tone and scaring, with visible results even after just one facial. Combine these two together for incredible results. 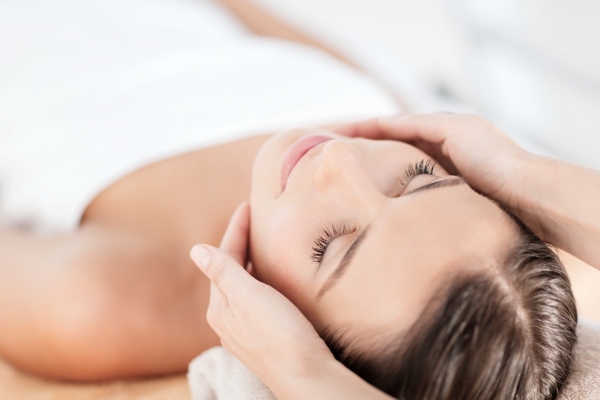 The Nail & Body Boutique CACI microdermabrasion facial is an advanced skin exfoliation treatment which uses an orbital hand piece that gently removes dead, loose skin cells. Although this treatment has been available for a number of years now, newer and more advanced versions are now available with the option to adjust the level of abrasion applied to the skin, giving your therapist the ability to modify your treatment, adjusting for sensitive areas as well as being able to focus intensity on more problematic areas. CACI microdermabrasion will reveal newer, fresher looking skin, and has the added benefit of encouraging blood circulation and skin cell renewal, which in turn helps to reduce open skin pores, improve tone and texture, brighten your skin, help problematic skin and help reduce fine lines and wrinkles. Glycolic Acid peels: A simple, safe and non-invasive treatment. Glycolic peels are a fantastic way of resurfacing your skin’s texture. It’s one of the Alpha hydroxy acids, but in Glycolic the molecules are small enough to penetrate the skin’s glue-like substance that builds up over time and contributes to ageing, dullness, skin discolouration and an uneven texture. You can help to prevent these issues by having this result-driven treatment. By incorporating this exfoliating facial treatment with a microdermabrasion we are stimulating the fibre blasts that produce collagen and elastin. This will leave the skin dramatically improved while reducing acne and acne scarring, premature ageing, hyper pigmentation and enhancing tone and texture. Here at the Nail and Body Boutique we pride ourselves with our results driven approach to anti-ageing, facial treatments and outstanding products for the ultimate in skin health. Find out more by clicking here, and get the perfect Surrey facial with The Nail & Body Boutique’s #facial beauty treatments.